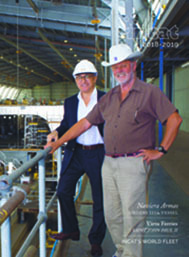 View publication online, download as a PDF and save to your computer. print direct or share on social networks. Our yearbook features highlights from a busy 2017 and a preview of vessels on order. 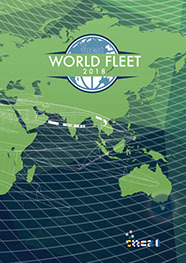 We also feature our World Fleet, show-casing our vessels across the globe. 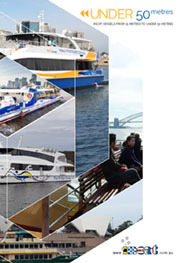 The history & development of the Incat company and global view of its products in service. 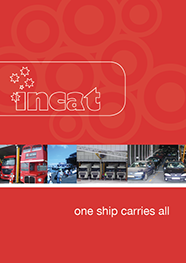 Incat's 2018 World Fleet spans over 20 countries from as far south as Uruguay to Northern Scandinavia. The guide consists of representation from 30 companies. In this yearbook, we are telling the story of what is to come, but also what has already been. We take a month by month sneak peer at the vessels under construction. 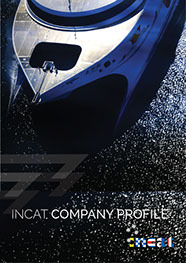 Incat vessels are instantly recognisable the world over thanks to their unique Wave Piercing profile and centre bow. 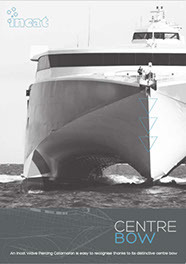 The main role of the centre bow is to act as a shock absorber for oncoming seas. 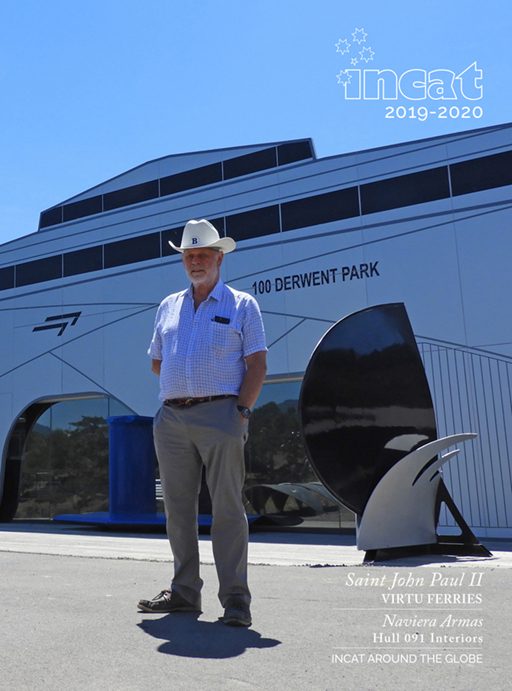 Incat has produced designs for several dual fuel (LNG and MGO) vessel options employing the reciprocating engine and the gas turbine engine. These options are explored in this brochure. Hull 074, Muslim Magomayev, was the first Incat crew transfer vessel and arrived at Azerbaijan in the Caspain Sea. 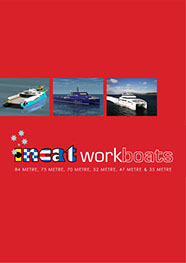 View more workboat options. 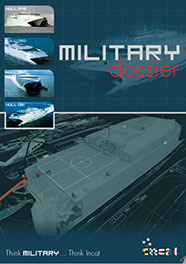 This Military Dossier chronicles the history of the four vessels constructed by Incat for military service. 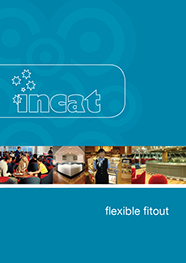 For the latest Incat military vessel concepts contact head office or your local Incat representative. 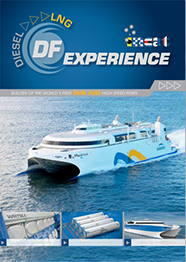 Versatility and flexibility of the High Speed Catamaran for the commercial operator means being able to carry any vehicle that can travel on the road. Diversification within the range is evident with the variance in passenger numbers, vehicle and freight capacity and configuration. Take a look at our Interiors brochure. Note the quality fittings, open architecture, atrium spaces, large windows and use of natural light, all providing a luxurious and comfortable cruising experience. 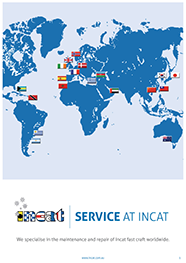 Service at Incat specialises in the maintenance and repair of their fast craft vessels worldwide. 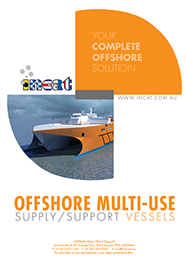 Incat now has a range of offshore multi use supply and support vessel options. Click on the brochure for a more details.